As a seller it's easy to look at your property and believe it is fully prepped and ready to achieve your asking price. But the fact is this: Every buyer is different and each will have different needs and aspirations when searching for a new home. And as much as sprucing up and removing clutter from your home may help when presenting it to potential buyers, there are a number of other factors that affect the price of property and will be taken into account during a house valuation. What can determine how much my house is worth? There are a number of things you can do to ensure your property is both appealing to buyers and nets you the valuation you need to take the next step on your property journey. 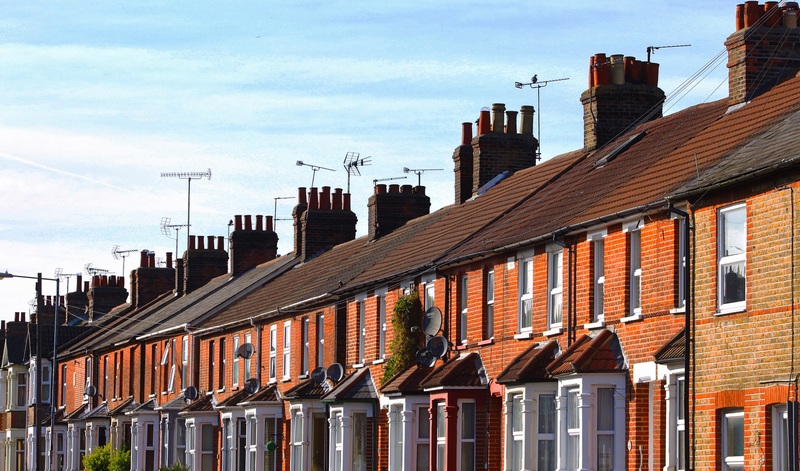 A survey conducted by Santander Mortgages in 2017 revealed that education-focused parents were pushing up property values in desirable school catchment areas by as much as £27,000. One in four, meanwhile, had either bought or rented a property specifically for a school catchment and was willing to pay a 12% premium to buy in catchment for a highly-rated school. So, if your property sits in a catchment area for a highly sought-after school, you could be looking at substantial value being added to your home simply because of where it is. Here in the South West, Gloucestershire, Somerset and Bristol where we are based at CJ Hole, we're extremely lucky to have excellent transport links to many big cities. Buyers in 2019 are often willing to accept a commute in order to either secure themselves a better value property or, as we outlined above, make sure they are in catchment for a good school. So, if your property is close to a motorway or railway station with direct links for workers, there's a strong chance it will command a premium. For example, a property close to Cheltenham Spa station with 39-minute direct trains to Bristol Temple Meads would almost certainly be worth more than a similar property further away. While great transport links are often cited by commuters as high on their property wish lists, we all like to escape the hustle and bustle from time-to-time. That means that a property close to stunning open space, such as the Cotswolds, can command a higher price. Properties with waterside views, meanwhile, such as those close to the sea or alongside a rival or canal, can also add a hefty percentage on to a home's value. This is one factor than can effect the value of your home both positively and negatively. With the UK's housing targets showing no signs of slowing up, more and more new-build properties are springing up in the South West and across the UK as a whole. For owners of flats and apartments in particular, that added competition could see the value of their older properties drop if there are a surplus of homes in a slow market. However, if your property like yours with a For Sale board outside is a rare sight, you could be able to take advantage of demand and add a few pounds to your asking price in the right market conditions. We almost got to the end of a CJ Hole blog without mentioning the dreaded 'B' word, but when it comes to national factors that affect house prices, they don't come much bigger than Brexit. As well as our departure from the EU, your property's value could be affected by things like interest rate rises, changes to stamp duty charges, or high unemployment. A study by Halifax showed that property prices near Premier League football grounds increased quicker than those further away. So, with Bristol City FC edging, it seems, ever closer to a potential spot in English football's top-flight in years to come, properties in places like Southville and Clifton could be on the rise. And with Cheltenham race course continuing to be a must-visit for National Hunt racing fans in spring, those living near Pittville and Prestbury would almost certainly be able to command a premium for their homes. According to research from Lloyds Bank, living near a supermarket can increase a property's value by a substantial amount. And in true British form, that amount can depend on which supermarket it is, with a nearby Waitrose said to add another £40,000 to a property's value. 1. Road, Street or Warren? Zoopla research found that houses on a 'Warren' fetched more than double the UK's average property price. Homes on a 'Street' were worth far less. Properties with odd numbers were worth £538 more than those with even numbers, according to Zoopla research. Being close to a quiet, quaint, traditional country pub can add value to your home, it's claimed. But it works both ways... Being on the same road as a more rowdy venue can cost you dearly if there are noisy drinkers spilling on to the street every night of the week. If you want to know what your home is worth, contact your local CJ Hole office who will be happy to book an appointment to carry out a free property valuation.